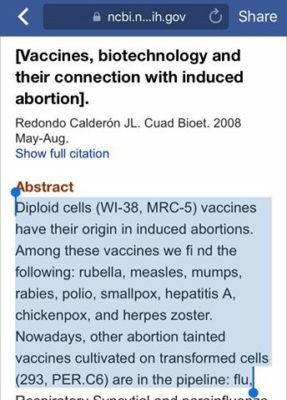 🛑 Vaccines originating in abortion. Furton EJ. Ethics Medics. 1999.